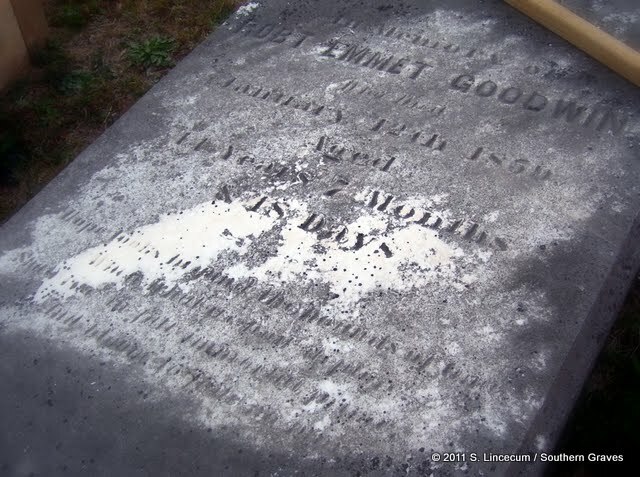 According to the Gwinnett County Historical Society, the genesis of the Goodwin family in the area dates back to the late 1700s and Philadelphia: "Mary Ann Roach came to America in the late 1700s as a stowaway on an Irish freighter. In Philadelphia, she met and married John C. Goodwin who was also an Irish immigrant. Records from around 1800 show the couple living in Rutherford Co., NC and having 5 children. A son, Joseph, acquired...property in Gwinnett Co. in May, 1835 from his father-in-law, William T. Graham." Marriage records at Ancestry show Joseph Gooden (sic) married Elmina Graham 12 May 1830 in Rutherford County, North Carolina. When Joseph's father died, his mother came to live with him. Six generations of Goodwins have lived in the area. 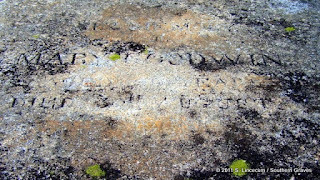 Though the stone ledgers atop the box tombs are very difficult to read, I think Mary Ann Roach Goodwin is buried in this cemetery. 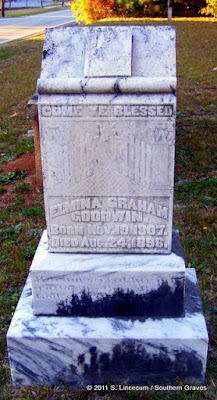 I do know Elmina Graham Goodwin was laid to rest there, as her tombstone still stands and is fairly easy to read. Her epitaph reads, in part: Having served her generation by the will of God she fell asleep. 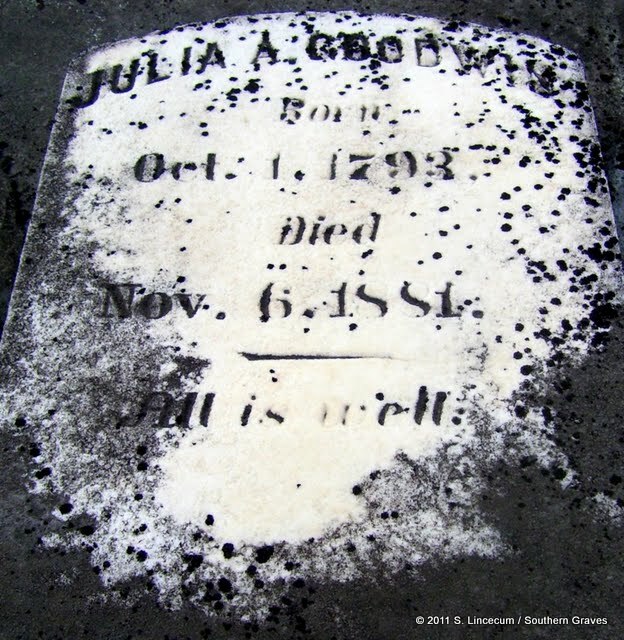 Julia A. Goodwin (1793-1881), Elmina's sister-in-law, was also laid to rest in Goodwin Cemetery. Census records state she was born in Pennsylvania, and her parents were born in Ireland.